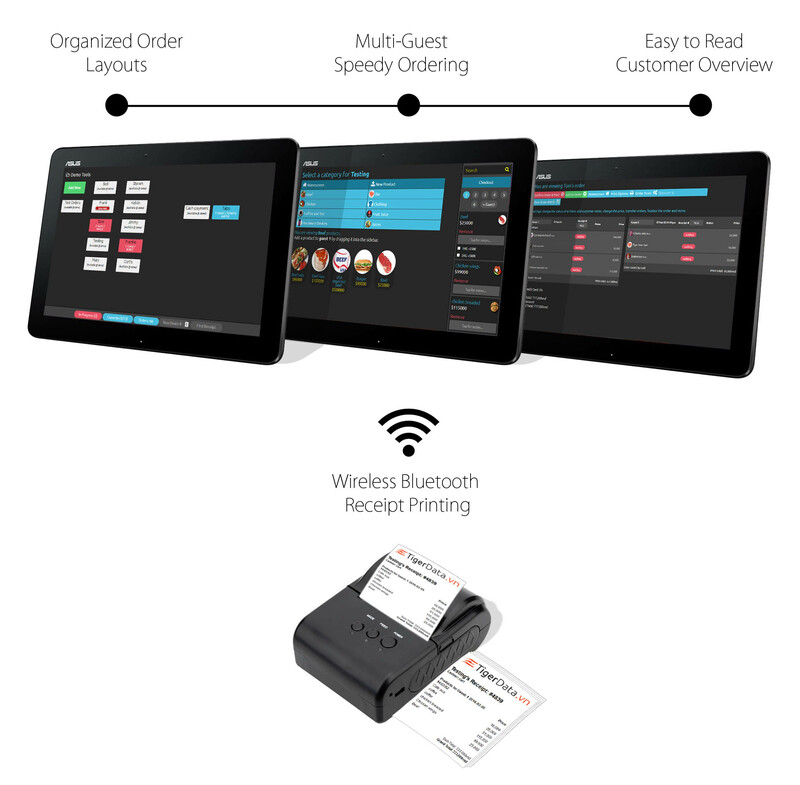 Product Description: This is a complete POS (Point of Sale) app that processes sales orders in the cloud for use in restaurants or retails outlets. 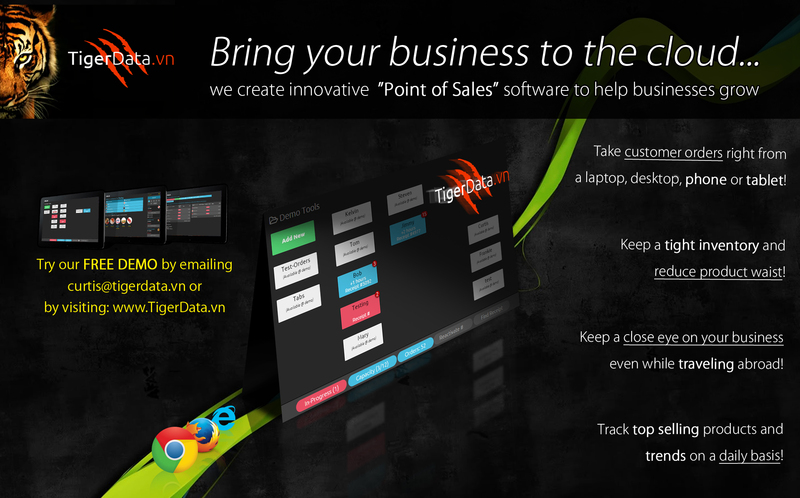 We have had a great success with this product in our market and now we would like to share our POS with you. 03/1/2019 - Login fix has been implemented due to timeouts on some devices. Login page will automatically appear fixing the white screen issue. 01/11/2019 - A highly requested feature has now been implemented for early testing. Bookings! Users can now easily manage their future bookings/orders by selecting the date range found on the calendar interface. Just drag the mouse across the selected dates and the POS will create your booking automatically. 12/28/2018 - Notification popups have been added for mobile devices to let the user know when a product is added or when a product is out of stock. Fixed the chat not displaying existing chats when clicking the input field. That's not all, let the count down begin for great new features coming this new year 2019! 12/09/2018 - A new mechanism to sync sales data to a remote server has now been added to the POS. You can edit the remote MySQL server to get started. Another new features lets 2+ people edit the same order in real-time. While one user adds a product, all other users will all see the cart synced such as price, new products, notes, etc. 12/09/2018 - Happy holidays everyone. I have made a few new changes to the user interface for the new year. This should make switching between guests really easy during the peak season. You can easily manage hundreds of guests without any confusion. Click new order to see the list of all your guests and click next guest to quickly process a new order in just one click. 11/06/2018 - You can add multiple guests to an order by first selecting an order folder. Drag a guest over top another guest and the POS will join them together. 10/29/2018 - Text to speech assistant has been added for easy accessibility notably on mobile devices. You can turn off speech recognition in your settings toolbar. Click here to try it out. 9/25/2018 - Orders will now keep a history of who deleted/voided an order and where the order has been printed. 9/24/2018 - It is now mandatory to type in the collected amount from the customer in order to close an order. 9/23/2018 - Staff can now manage multiple guests associated to an order and quick-switch between customers for ultra fast ordering. 8/20/2018 - Local printing has been added. You can now use your browsers default print dialog to print receipts on a local computer or mobile. 8/20/2018 - A bug was found after login causing the page to sometimes get squished. A temporary fix has been made by reloading the page after login but you will need to manually enter into fullscreen mode until futher notice. 7/27/2018 - A new product map has been added to help visualize products inside your POS. More functionality is sure to be coming soon. 7/27/2018 - Login bug was fixed not letting you close the popup until 1 minute after the page loads. Fullscreen is now automatically initiated after clicking signing in to the POS. 7/17/2018 - You can now click "Remember me" to have your username and password stored on your device for quick login access. 7/16/2018 - A new "Automatic Updates" feature is being implemented to install the latest version available keeping everyones POS up to date with the latest features and security updates. 7/12/2018 - A full overview display has been created to monitor in real-time all of your ingredients. Access it by clicking the POS toolbar and going to your Inventory Control. 7/12/2018 - Version control has now been implemented to automatically redirect the POS to the latest version without any configuration required. 7/10/2018 - Linking your products together has never been easier. Keep track of complicated inventory by crafting your products. For example, a burger has a bun, cheese and a patty. All your ingredients can now be monitored automatically without lifting a finger. 7/10/2018 - Inventory tracking just got better. You can now enter in the volume or weight of your products to track how much you have left. For example, if you have 10 cans of Cola (355ml x 10 cans = 3550ml) and you sell 5, you will have 1775ml of Cola left. You can set your safety stock to notify you to restock when you are running low so you always keep a tight inventory. 7/9/2018 - A minor bug was fixed causing the wrong image to sometimes appear on product modifiers due to empty SKUs. A similar bug was fixed for product conditions containing an empty SKU. 7/7/2018 - POS theme support has brought a brand new feature. 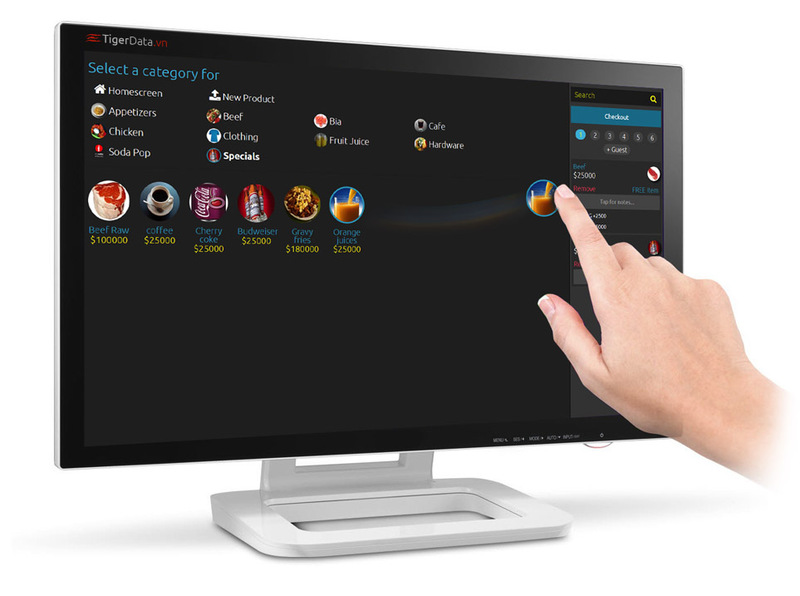 Left and right handed users can now change the alignment of the categories, products and cart. Feels better on the left? Great! Wan't it on the right? Don't worry about it! Change your preferences by logging in, going to the POS tools in the toolbar and click "Themes". 7/6/2018 - New custom theme support has been added. Try our new "Dark and Light" themes. Change your default theme preference in the POS toolbar after logging in. 7/5/2018 - The inventory, stock control and supplier management has now all been consolidated in 1 place for quicker access. Large screen monitors are now optimized with a fixed screen width. 7/1/2018 - Bug fixed with the logo image not updating on receipts. Logo appears on the new receipt template editor as well. Minor bug with multiple untitled products being added to the POS has been fixed. 6/30/2018 - Fully customize your receipts with our new template editor. Use HTML to easily add flair to your receipts header and footer. For example, you can add informative notes promoting new events, discounts, happy hours, and more. A WYSIWYG text editor will soon introduced to make editing even more stylish. Stay tuned. 6/28/2018 - Optimized drag & drop for adding products to the cart. Having over 20 products in the cart would cause the POS freeze temporarily. Older systems would be even worse. Now tested with over 200 products with no major issues. 6/24/2018 - Bug fixed for the order date field causing the calendar to hide. Future dates can be entered on orders. 6/23/2018 - Leave order messages for staff. Add modifier button added to modifier popup (in case that it needs to be added quickly). 6/22/2018 - Quickly add a product to any of the open orders by dragging the product to the top of the screen and into an order folder. 6/19/2018 - Quick video tutorial showing how to add products to the POS. 6/18/2018 - New video showing how easy it is to import products from just about any website. Click here to watch it on Youtube. 6/18/2018 - Product modifiers now have images to make finding the option easier for employees. 6/17/2018 - Automatic SKU numbers are now generated when a new product title is set to help track inventory. Custom SKU's can still be set. Thank you for reading through our product notes. All new updates, bugs and features will be released here. Check back frequently to see our new advancements made to the platform. Have an idea or would like to report a bug? 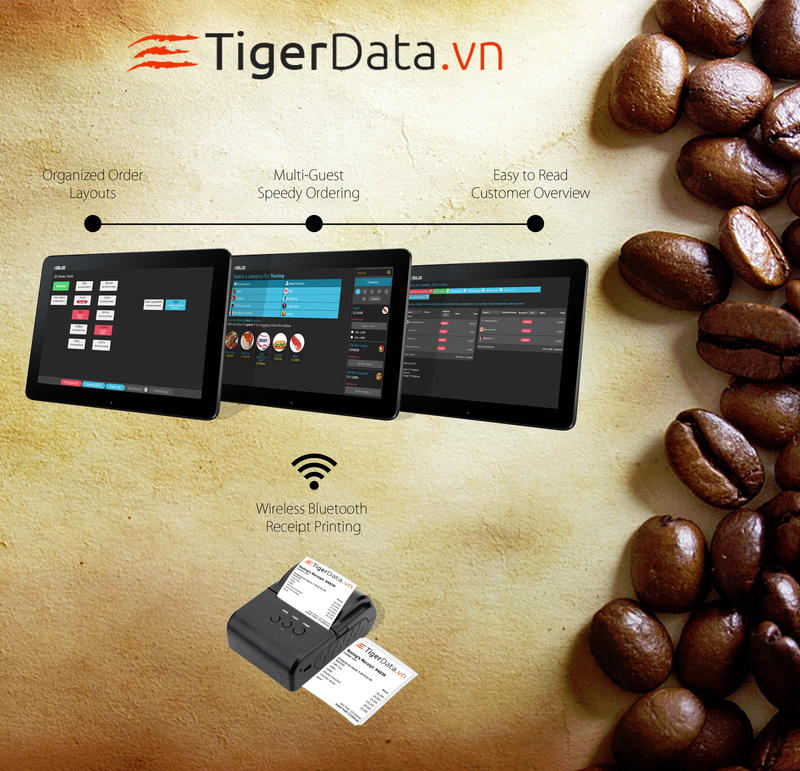 Contact us in the POS chat by visiting www.tigerdata.vn. When visiting our homepage you will always be redirected to the latest version of the POS!